Striking and bold in scale, this brand-new contemporary home is located in the exclusive Silver Strand neighborhood of Marina del Rey. Full listing details below…. Exceptional quality has gone into this 7,574 sq. 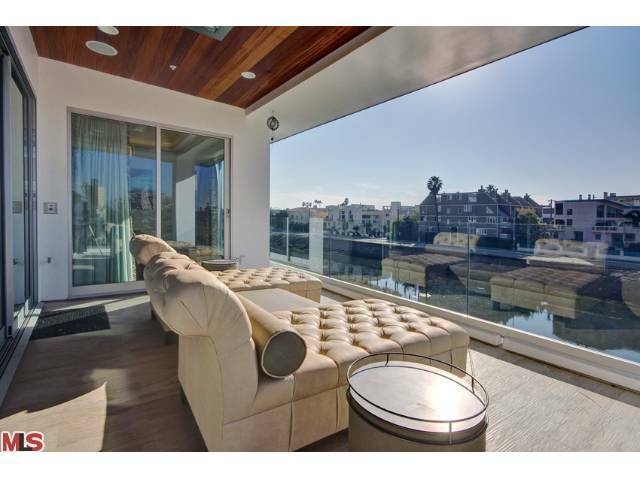 ft., 6 Bed/8.5 baths, equipped with a commercial elevator, 3D theater, sonos system, bar, billiard room, gym, 8 fireplaces. The master suite has his and her baths with steam shower. This stunner is available furnished. A truly unique top floor deck offers huge views of the ocean and canals with extensive space for large scale entertaining. Featuring sleek tile, hydro jet spa, fireplaces, organic garden, fire pit and stunning waterfalls. This chic residence is a mix of art deco, retro modern styles and comes fully furnished in the same rocking design. The Silver Strand is extremely secure with a 24 hour roaming security guard. We're sorry, but we couldn't find MLS # 12575557 in our database. This property may be a new listing or possibly taken off the market. Please check back again.